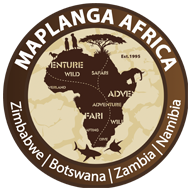 Maplanga Africa is an Africa tour operator specialising in Southern Africa. Try these Africa specialists for fast turn around time, excellent local knowledge and a large variety of safari deals. The Victoria Falls Waterfront is the sister lodge to the David Livingstone Safari Lodge. Great atmosphere, good food and and affordable accommodation to suit the budget traveller to Victoria Falls Zambia.